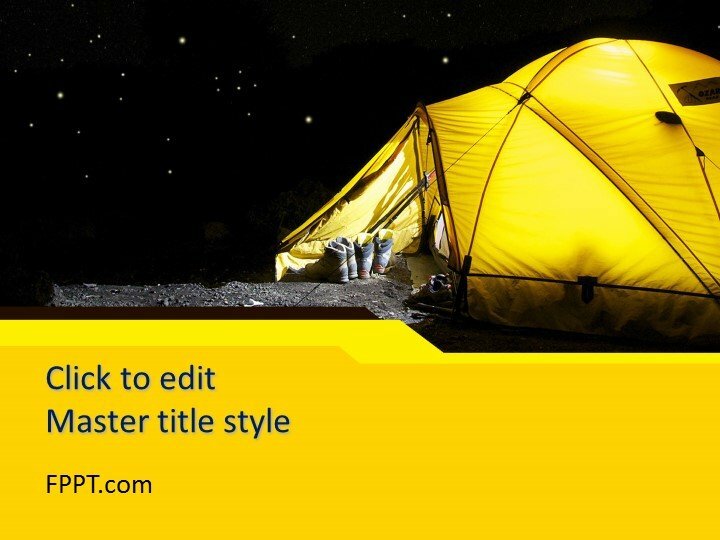 The yellow background of the tent is looking awesome in the dark night. 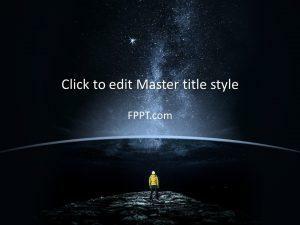 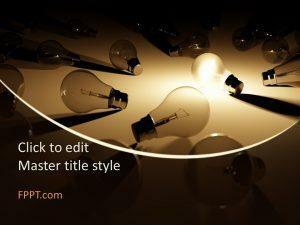 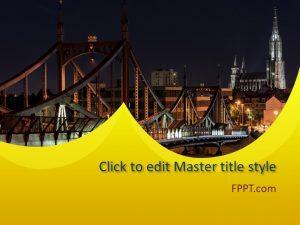 The template design is suitable for background designs and slide designs for PPT presentations. 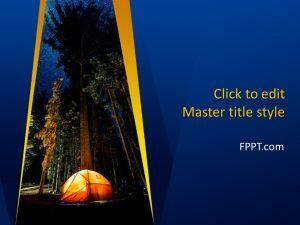 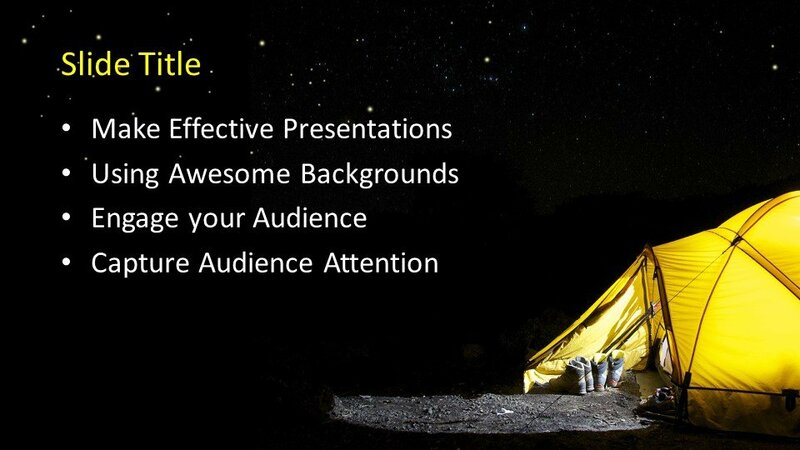 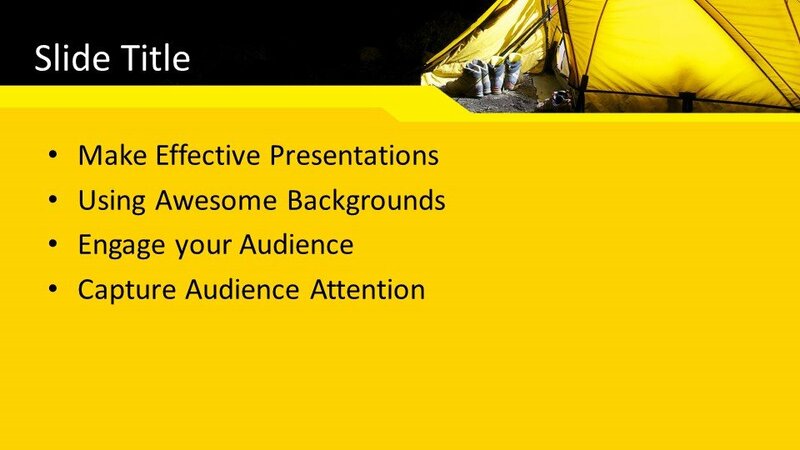 This Free Tent PowerPoint Template is crafted in 16:9 ratio and seems suitable for the presentations of touring, a night stay and other travel relating presentation topics, camping or outdoor activities. 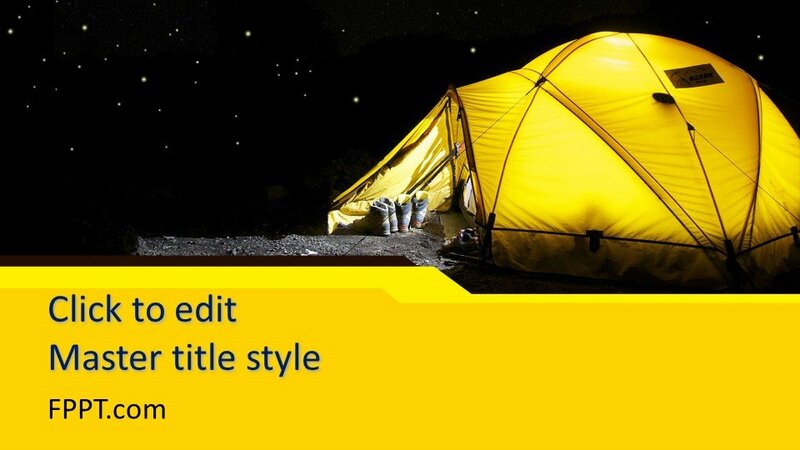 The tent is a wonderful companion of traveler and beneficial to his stay and accommodation at distant and unknown places. 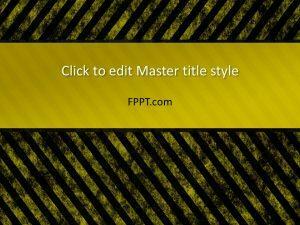 The template design with yellow and black background colors is suitable for simple and general PowerPoint presentations and also compatible with Google Slides and Keynote. 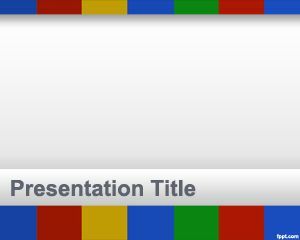 It can also be customized with the help of PowerPoint as made compatible with all versions of Microsoft PowerPoint.